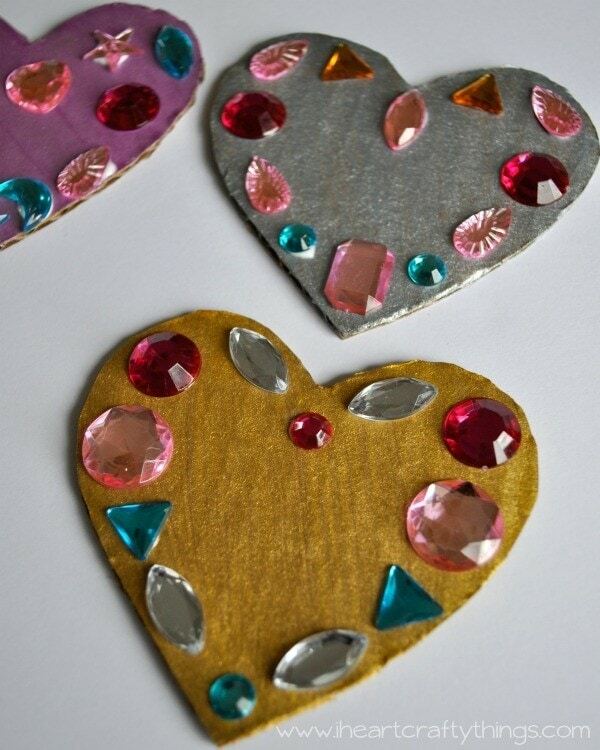 We are in full swing with Valentine’s Day crafting, hoping to bring you some fun ideas! 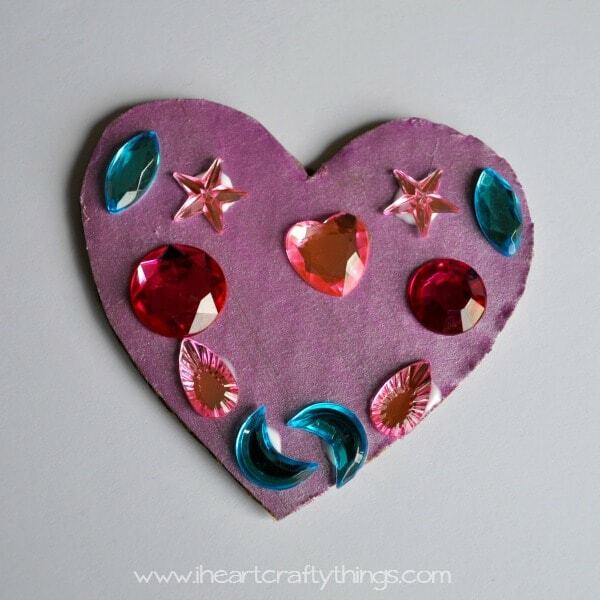 We have tons of cardboard left over from Christmas that I saved for some crafting, so this weekend my daughter and I used some to make a Jeweled Heart Craft. 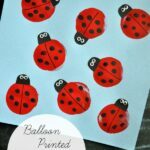 They are so simple and pretty and I incorporated learning about symmetry with my preschooler! 1. 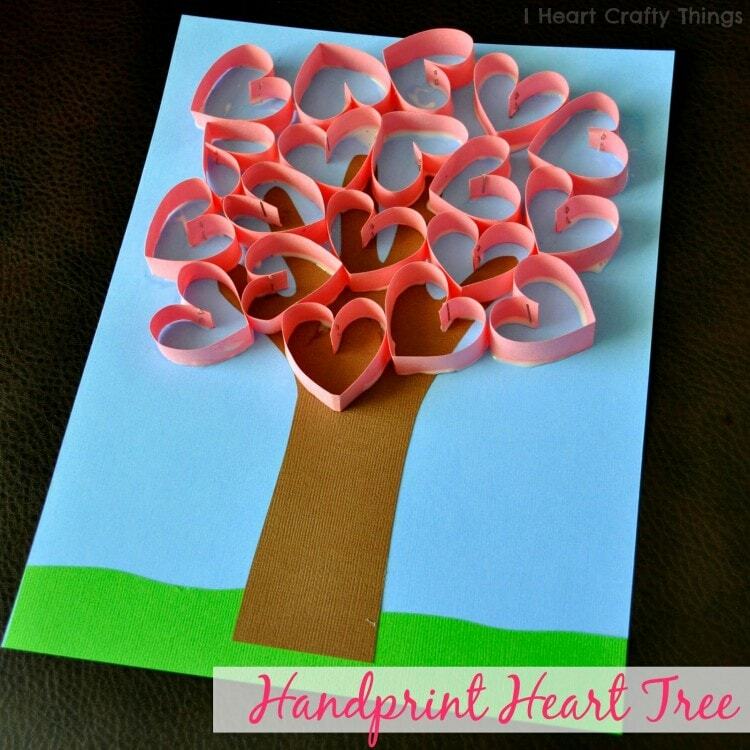 Start by cutting a heart out of your cardboard. You decide the size you want. 2. 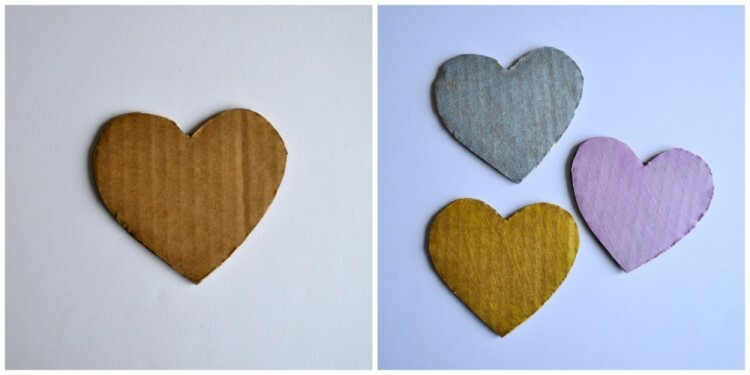 Use your metallic paint to paint your cardboard hearts. Let them dry completely. 3. 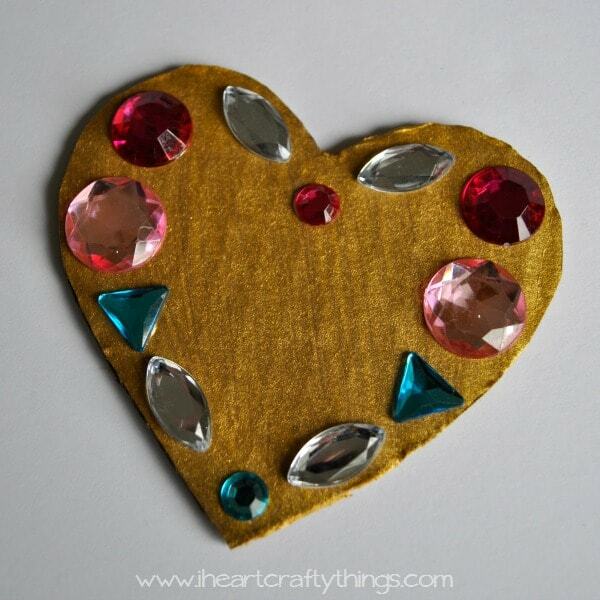 Glue crafting jewels onto your hearts. 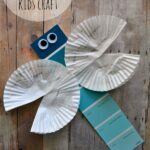 I took this craft as a great opportunity to talk about symmetry with my preschooler. After discussing what symmetry is I challenged my daughter to make both sides of her heart look the same with her jewels. 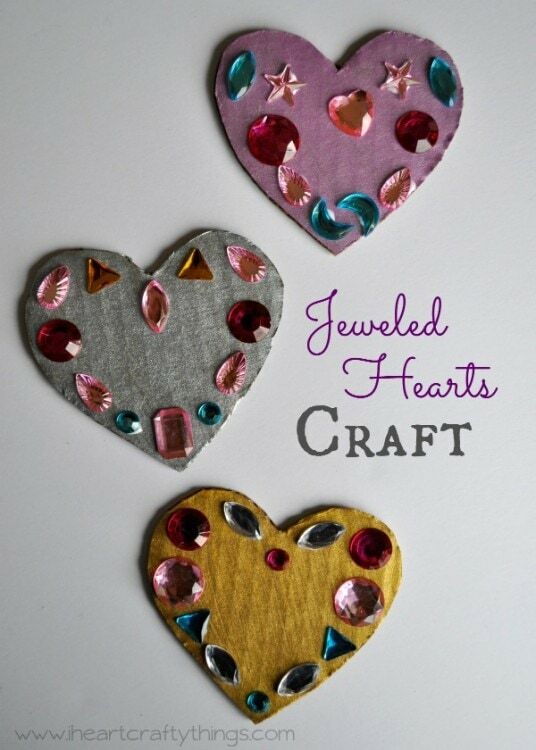 This is obviously optional, I just love adding learning concepts into our crafts whenever I can.